My review of Nicola Griffith’s Hild is up at NPR Books! In brief: I can’t recommend it enough, and slammed up against word count before I could even scrape the surface of the thousand and one MORE things I loved about it. I still can’t quite bring myself to commit to saying the one is better than the other there, for Reasons, but I loved it so much. How Hild’s observation-magic is magic because she exists in a world where there is no such thing as leisure time; where watching birds and weather patterns is the work of magicians because they are afforded time and isolation in a way that cloth-makers and brewers are not. How Hild’s isolation makes her uncanny, and how Griffith’s prose makes her loneliness into a cold stone. How identity is tied to language and landscape, and how a different landscape is a different country. This book acknowledges that black and brown people existed in 7th century Britain! It doesn’t focus on them, but they’re there! But most of all, MOST OF ALL, I loved that a very young Hild learns, through observation, the mechanics of a well-executed squat, and uses this to perform a feat of strength that makes her appear to be magical. SQUATS. ARE MAGIC. IN THIS BOOK. As in real life, of course. 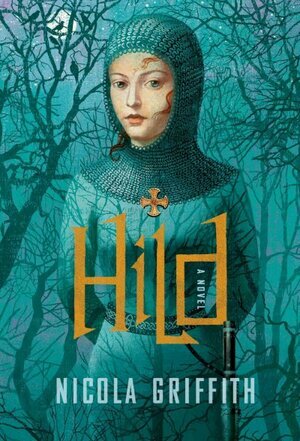 I’m reading “Hild” now, and I’m recommending it to everyone. I loved your review. I also loved your NPR review of one of my all-time favorite books, Naomi Mitchison’s “Travel Light.” Keep spreading the word about great books like these.